27-28 November, Kingston, Jamaica – In a keynote address delivered at the Caribbean International Bamboo Symposium in Kingston, Minister JC Hutchinson announced a range of new initiatives which the Jamaican Government is taking to promote bamboo use in the country and region. Despite their huge potential, bamboo is currently little used across Caribbean countries, including Jamaica. 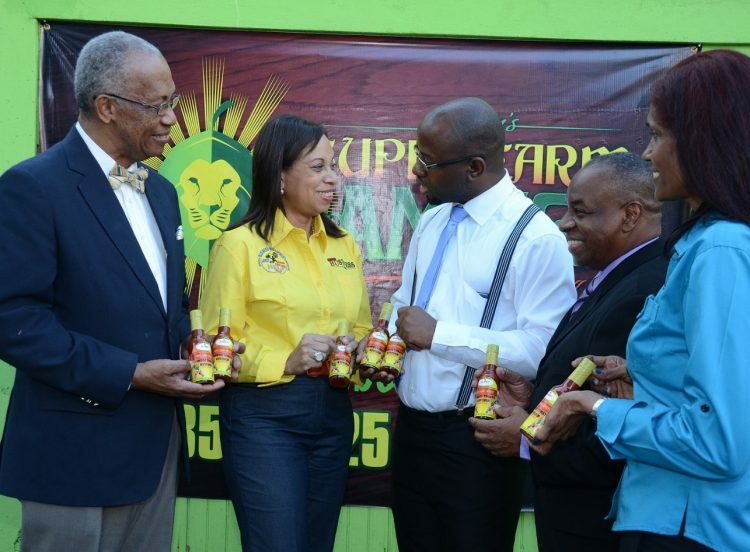 To promote the sector’s growth, Hutchinson said that “bamboo is now officially recognised… by the Government as a new industrial crop in Jamaica”, meaning it will receive the same rights, privileges and benefits accorded other cultivated crops in Jamaica. 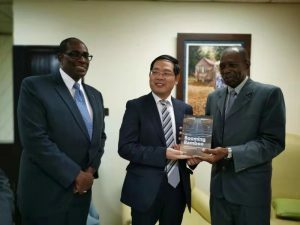 Finally, Hutchinson told delegates that a bamboo development working group has already been established in Jamaica, and will focus on policy advice, research and the transfer of technologies and extension services needed to drive development. Miss Jamaica celebrates the importance of bamboo (left); a selection of Caribbean bamboo products (middle); a packed session at the Caribbean International Bamboo Symposium (right). 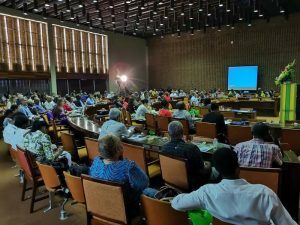 Jamaica’s new policy support for bamboo sends a strong signal to other countries in the region, many of whom were present at the Caribbean International Bamboo Symposium. 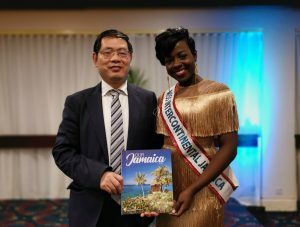 The two-day event was the first of its kind to be held in the region, and was co-hosted by INBAR and a broad range of partners: Jamaica’s Ministry of Industry, Commerce, Agriculture & Fisheries; the Bureau of Standards Jamaica; The Tourism Enhancement Fund; the Bamboo Industry Association of Jamaica; the Jamaica Business Development Corporation and other agencies. 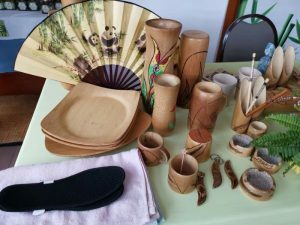 Over the course of 27 and 28 November, the Symposium welcomed some 250 delegates from the Caribbean, and aimed to highlight the benefits of bamboo production and manufacturing. It culminated with a tour of several bamboo facilities across the island by delegates.